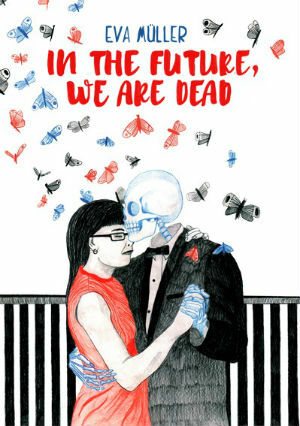 * Robin Enrico reviews Eva Muller's IN THE FUTURE, WE ARE DEAD, writing "In collecting these smaller meditations on death Muller is able to create a more thorough examination of the way in which the knowledge of our own mortality influences our life." * Rachel Cooke on RED WINTER by Anneli Furmark, "a cold-eyed and occasionally chilling analysis of the ruthlessness, bullying and groupthink indulged in by a certain kind of small-time, small-town Marxist." * Leonard Pierce has mixed feelings about THE LIE AND HOW WE TOLD IT by Tommi Parrish, "it's almost impossible not to notice its deeply 2000s-ish feel, and while it dresses up its relationships in the complexities of a genderqueer woman and a man in deep denial about his own conflicted sexuality, it's still that same old story of people who spend all their time not being able to say what's on their minds." * Tegan O'Neil on IS THIS GUY FOR REAL by Box Brown, writing "the sprawling structure [of the book] works against Brown's instincts here. His minimal style comes close to wearing on the reader after 256 pages." * Sam Ombiri on Nick Drnaso's BEVERLY, writing "all this -- the complexity of the stories and the characters that are drawn mysteriously, in a sparse way -- felt like it was done out of the necessity of being loyal to the ideas that Drnaso wanted to convey." * Ryan C. reviews Nathan Cowdry's SHINER, writing "there's no arguing that Cowdry has created an almost singularly effective work here, one that is provocative, confrontational, and that instantly gains a foothold in your consciousness -- whether you want it hanging around there or not." * Rob Clough on Jeremy Sorese's THE TAR PIT. 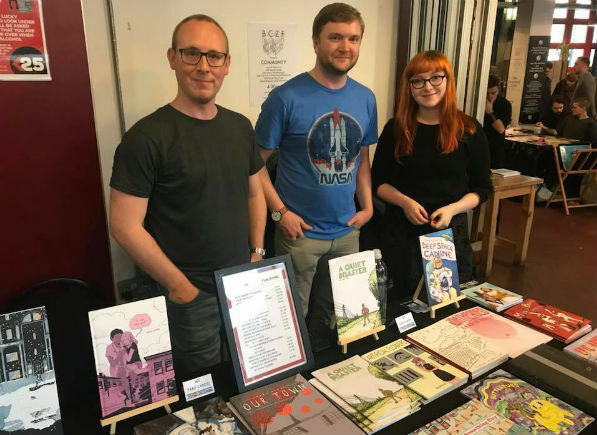 * Andy Oliver talks to the folks behind AVERY HILL BOOKS "about a year of growth, expansion, recognition and huge critical acclaim." * Andrea Ayres interviews LAWRENCE LINDELL about his book, Couldn't Afford Therapy, So I Made This, his process, and about issues surrounding mental health. * Brian Heater talks to JOSEPH REMNANT about Cartoon Clouds, Trader Joe's, and Harvey Pekar. * Rosie Knight uses her interview with KATIE GREEN to talk about the power of autobiographical comics and her latest book, Lighter Than My Shadow, in which Green "chronicles her struggle with -- and recovery from -- eating disorders and sexual abuse." 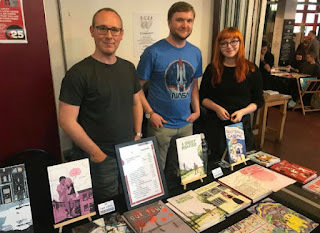 * My buddy, cartoonist, Director of the MSU Comics Forum, and all-around good human Ryan Claytor reminded me that the MSU COMICS FORUM will be the last weekend of February, and will feature Keynote Speakers Lucy Knisley and Diana Schutz along with an amazing slate of panel discussions, an Artist Alley, and more. If you find yourself up in Michigan at the end of February, this event will probably take the sting out of that fact. * Roman Muradov announced his first non-fiction book, ON DOING NOTHING, is available for pre-order. According to Muradov, it's "all about idleness, fictional and real ... lovingly illustrated and full of weird and inspiring stories -- borrowing from literature, hip-hop, sitcoms, avant-garde, eccentrics, comics, cows..."
* Kim O'Connor takes the time to put together this piece called LET'S FIX YOUR PROMOTIONAL PHOTOS: A SPECIAL GUIDE FOR MEN IN COMICS. * If you haven't been following Andrea Shockling's comic ACCOUNTABLE, you should drop what you're doing right now and correct that oversight. * Paige Mehrer's comic CAVIAR. * Shane Burley discusses his new book, FASCISM TODAY: WHAT IT IS AND HOW WE END IT. * THIS is both spectacular and bonkers.